Curly hair can be hard to manage, so treat it with Joico Curl Defining Contouring Foam-Wax, a hybrid styling formula enriched with Curl Repair Technology™ to create flexible, defined looking curls. Combining a blend of natural waxes, reconstructive proteins and defining polymers, the foam-wax styler works easily into the hair, effortlessly gliding over your locks to create flexible, controlled curls with frizz-free results and ultimate humidity protection. 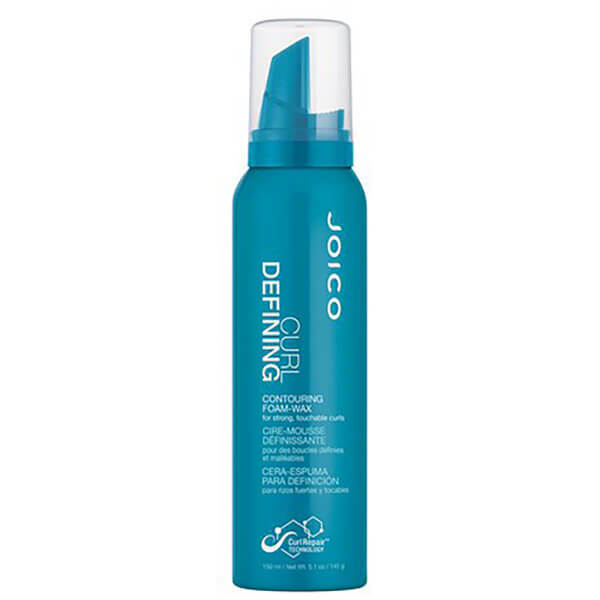 Providing enhanced curl retention, body and protection, the curl refining formula will eliminate dry, frizzy locks and give long lasting hold without dryness or greasiness. - K.N.